Circumstances can change very quickly in the world of gaming. This time last year, for example, you didn’t hear from too many game developers when it came to their iPhone plans—there wasn’t even an SDK to plan for 12 months ago. And yet, mobile gaming turned out to be all the rage in 2008. Some would say that just proves attempting to predict where a market is headed is a foolhardy proposition. We say we’re just the fools to undertake the job. Here are six trends in Mac gaming to keep an eye on throughout 2009. 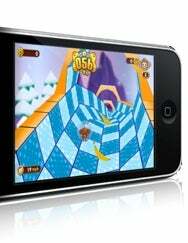 Look for games to continue to go mobile in 2009. With so many iPhone and iPod touch games out in the world now, the question isn’t if the iPhone is a viable gaming platform; instead, it’s how far the iPhone will be able to go as a gaming platform. Our guess? Pretty far. Expect a lot more companies to get involved, and a lot more titles to be available, with a lot of diversity and—unfortunately—a lot of copycat ideas. Fusion Fall leads the charge for a new breed of Massively Multiplayer Online games. But it’s not just Mac ports of PC games—the year should see the emergence of a different kind of MMO: the browser-based multiplayer online game. These MMOs work on both Windows and Mac OS X and often require less downloadable content to play. Some are even free. 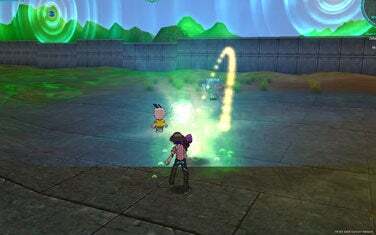 Check out Fusion Fall, Cartoon Network’s MMO, launching in January. Good things come to those who wait. That’s good news, because Mac gamers can probably look forward to a lot of waiting in the coming year. We foresee Mac users having to keep a patient vigil potential announcements of Mac launches of major sellers like Call of Duty 5, Prince of Persia, and Red Alert 3. We list these three only because history has shown us that these are likely (but not guaranteed) to be eventually ported to the Mac platform. “Eventually” is the key word here. Keep your fingers crossed. 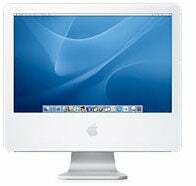 Your iMac G5 is unlikely to be much of a gaming powerhouse in the coming year. If you haven’t upgraded to an Intel-based machine, expect to endure an ever-dwindling supply of games that will run on your PowerPC-based computer. Between TransGaming’s ascendancy with the Cider translation-layer technology and other porting houses dropping PowerPC optimization as a time- and money-saving measure, the PowerPC Mac is not long for the gaming world. It’s been nearly a decade since Bungie announced Halo at the July 1999 Macworld Expo. That game, which promised to revitalize the Mac gaming industry, instead salvaged Microsoft’s Xbox console launch, after the Redmond, Wash.-based tech giant snapped up Bungie in 2000. Bungie and Microsoft have since parted ways, but Halo lives on. In 2009, Halo Wars, a real-time strategy game, is coming out for the Xbox 360. Root for it to stink. This past year is ending on a rough note for gaming companies, as EA, THQ, Midway, and others have all announced layoffs. A week ago, Mac game maker Aspyr announced layoffs as well. With the economy suffering globally, consumers have less discretionary income, and the entertainment industry suffers as a result. Don’t be surprised to see more companies announcing cutbacks and staff reductions in 2009.